Construction of an ultra-high voltage power transmission line to deliver clean energy began Wednesday. 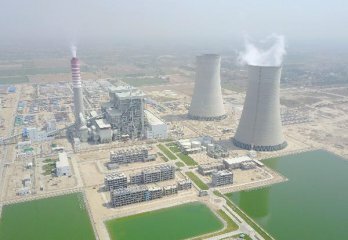 The first phase of a crucial energy project in Pakistan is scheduled to be put into operation next year, benefiting 2 million local people. China's software industry registered rapid revenue growth in the first three quarters of this year, official data shows. 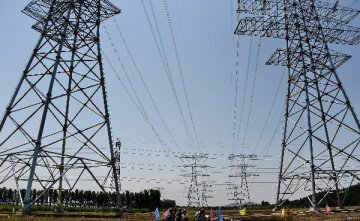 China's power generation rose 7.4 percent in the first nine months of 2018. More than six decades ago, three American scientists invented the silicon photovoltaic cell at the Bell Labs in New Jersey. 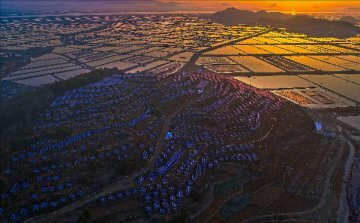 ​Photovoltaic exports from China are expected to increase as the European Union has ended anti-dumping and anti-subsidy measures. A draft law aiming to boost basic healthcare and raise health awareness was put before China's top legislature Monday. Northwest China's Xinjiang Uygur Autonomous Region has seen a surge in the electricity generation from clean energy. The annual output value of China's civil nuclear technology application has exceeded 300 billion yuan (around 43 billion U.S. dollars). China has begun constructing an offshore wind-power project with the biggest installed capacity in the country. China will study and formulate a roadmap for high-quality development of the hydrogen energy industry. 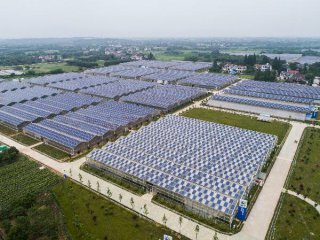 A large commercial solar thermal power station has been officially put into operation, the operator said Wednesday.